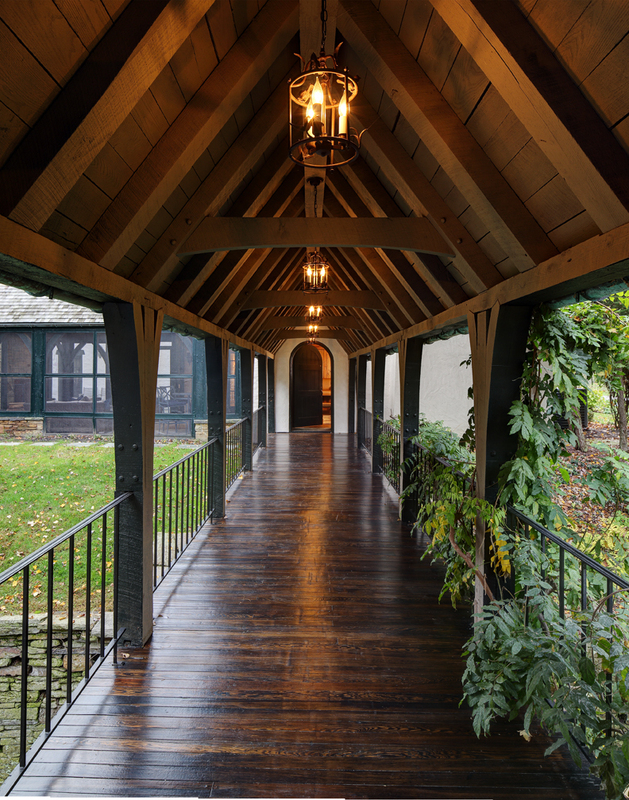 Ever wonder what was across the bridge in our Period Estate project? 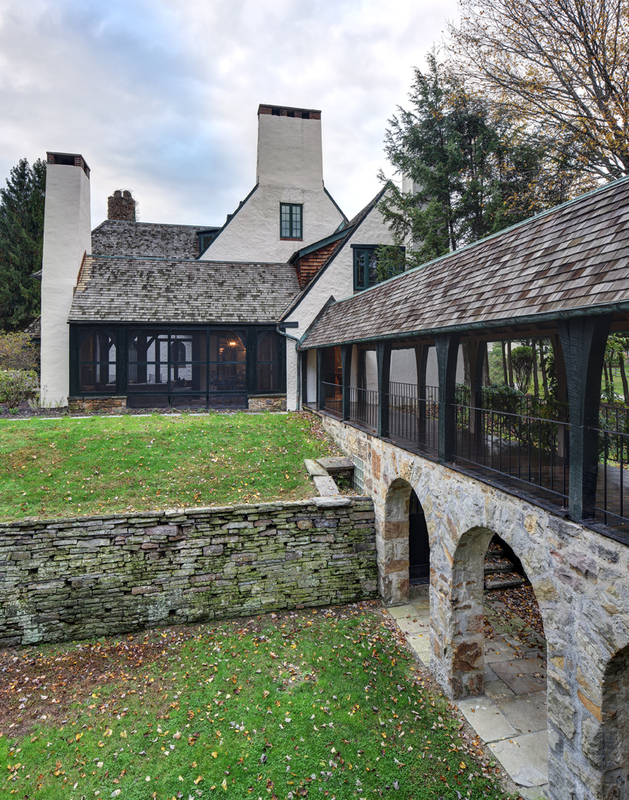 We are opening the doors and going behind the design to show you the ins and outs of a guest house renovation that we call, “The Lodge.” The Lodge is a cozy cabin with equestrian influences and nostalgic charm located in an iconic area of Cleveland’s east suburbs, Hunting Valley. 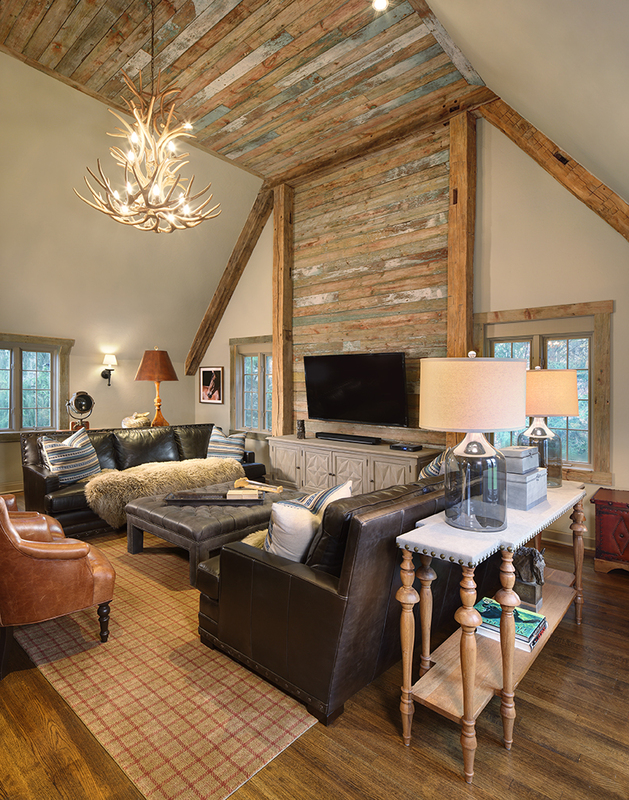 This wooded retreat is the perfect place to cozy up by the fire and unwind. It was important that this space convey two very different feels. We wanted out of town guests to feel like they were in a natural sanctuary tucked into the woods. The space also had to be fun for kids to play ping pong and watch movies together. We achieved a family-friendly environment that feels warm and welcoming to all. 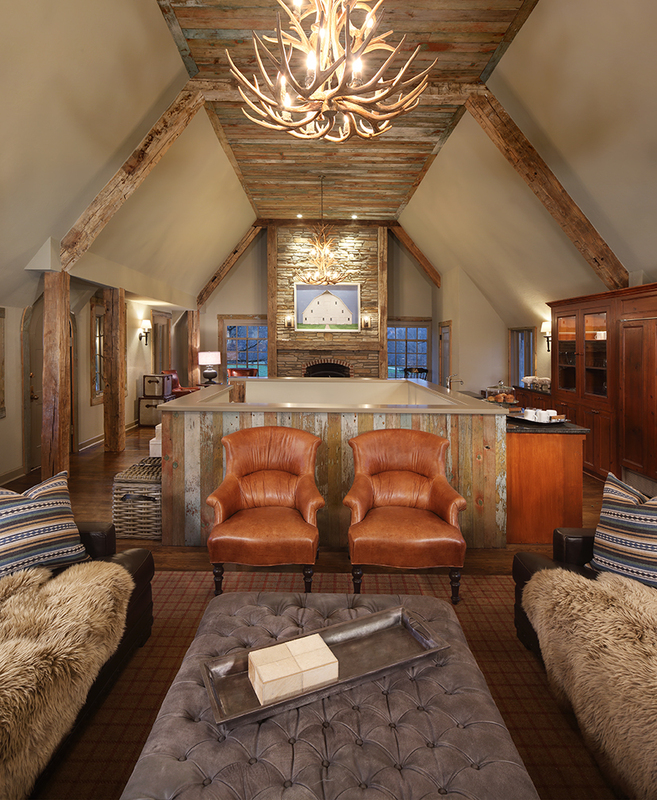 The focal point in the main living area is the natural wood beams and ceiling detail. This space originally had a flat 8 foot ceiling that needed something to spice it up. The wood was salvaged from an old barn that was being torn down in the area and repurposed to create a unique design element. 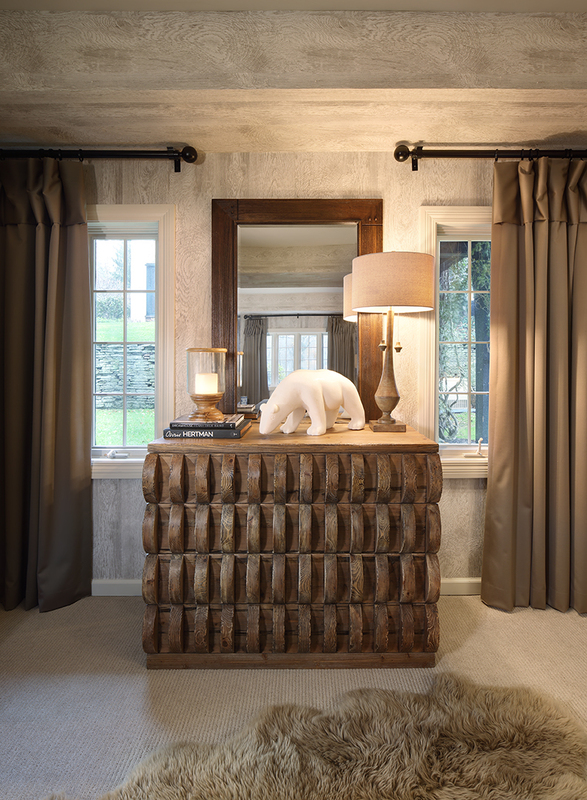 The guest suite designs channel a modern ski chalet complete with darker antique finishes, tribal textiles and furry throws and rugs. 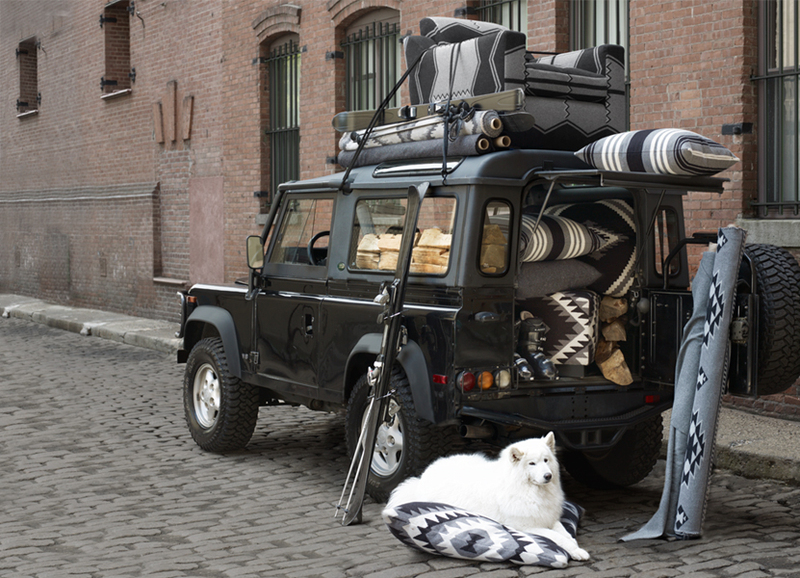 We were inspired by this image from Ralph Lauren’s Downtown Modern collection. 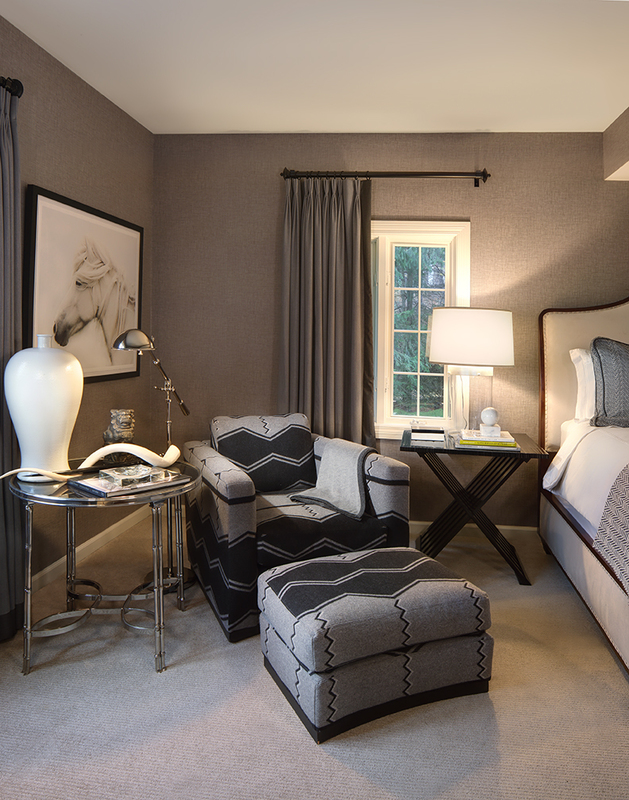 The color palette of charcoal, black and white was the perfect starting point for the design of bedroom one. 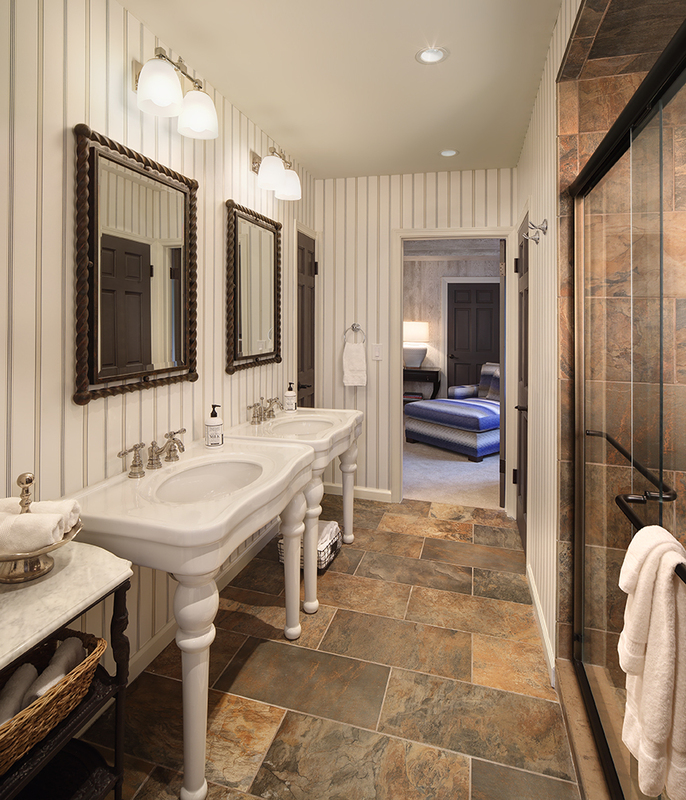 The vanities in the Jack and Jill bathroom were repurposed from the renovation of the main house. They look very vintage chic amongst the traditional pinstripe wallcovering and aged bronze mirrors. The design for bedroom two was inspired by this fabric. We love the wide stripe ombre with the punch of cobalt blue. In this space, we really wanted to bring the outdoors in. The wallcovering is a textured bark in a white wash that looks and feels like real wood. We continued the wallcovering up and around the soffits for some added dimension. All interior doors are painted Sherwin Williams Iron Ore for added drama. Complete with a fuzzy blanket and rug, this bedroom is the ultimate getaway.